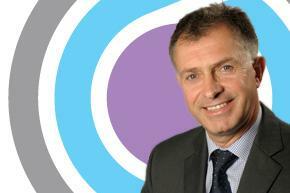 Mike Tynan, currently chief executive of Westinghouse UK, will join the Nuclear AMRC as chief executive. Tynan’s appointment comes at a crucial time for the Nuclear AMRC and the UK nuclear industry, following the Government’s recent publication of the nuclear industrial strategy. This set out a commitment to long-term collaboration between government, industry and academia to grow the UK’s global market share in the nuclear sector, and create sustainable jobs in new build, operations, maintenance and decommissioning. The Nuclear AMRC is at the heart of this collaboration in nuclear manufacturing. Based at the University of Sheffield with support from The University of Manchester, the Nuclear AMRC combines industry expertise and university innovation to help manufacturers improve capabilities and performance. It is part of the High Value Manufacturing Catapult. Tynan will ensure that the centre provides real value to manufacturers, and helps them secure work in the UK and worldwide. As chief executive for Westinghouse UK Ltd, Tynan led the integration of Westinghouse business interests for new nuclear plant, fuel and services in the UK. He also led the Generic Design Assessment (GDA) effort for the Westinghouse AP1000 reactor, and has been part of the Westinghouse European, Middle East and Africa regional executive for the past three years. Tynan joined Westinghouse in 2005, having previously held senior positions at a number of UK nuclear sites, including Sellafield. He is widely recognised as a change leader and has been at the forefront of major developments in the UK nuclear industry, including the foundation of Site License Companies for nuclear decommissioning. Tynan is dedicated to the development of people within the industry to ensure a vibrant future for civil nuclear power in the UK, and serves as director of the National Skills Academy for Nuclear. Tynan will take up his full-time position at the Nuclear AMRC in the summer. UK Trade & Investment is inviting companies to join its pavilion at the 10th China International Exhibition on Nuclear Power Industry. Participating companies will also have the opportunity to visit Beijing and Guangdong for a series of meetings, networking events and site visits with major Chinese nuclear companies and their subsidiaries. China is the world’s fastest growing nuclear market in all aspects in the civil nuclear industry, including new build, waste management and decommissioning, and nuclear fuel cycle. UKTI is encouraging manufacturers, engineering firms and specialist companies, such as consultancies and law firms, to take part in the mission to explore commercial opportunities and seek potential partners in the market. Wednesday 1 May 2013, London. The Institute of Mechanical Engineers presents a one-day seminar exploring how various links in the supply chain interact with quality and safety regulators to carry out successful projects. Industry experts will offer key case studies, sharing their experiences and lessons learned with delegates. The event will help manufacturers understand the quality requirements for current operating, decommissioning and new build nuclear facilities, and hear the lessons learned on a range of major nuclear projects. 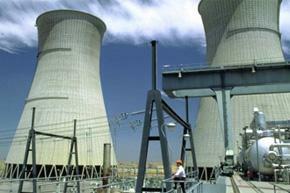 Nuclear AMRC members can register at a reduced fee. 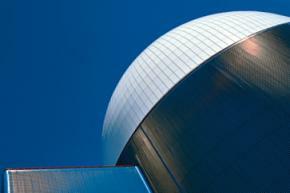 For more information, see the IMechE nuclear quality event page. The University of Sheffield AMRC hosts a major conference and trade show on Thursday 18 April as part of the Global Manufacturing Festival. The conference focuses on opportunities in four key high-value manufacturing sectors: nuclear, renewable energy, aerospace and medical components. Confirmed speakers from the nuclear industry include Jeff Benjamin of Rolls-Royce and Mike Hawe of Nuclear Engineering Services. Speakers from the renewables industry include Juergen Maier of Siemens and Dave Oswin of MTL Group. For free registration, visit the Global Manufacturing Festival website. AMRC will also be taking its Mantra lorry, a travelling exhibition offering a hands-on experience of advanced manufacturing, to the Get up to speed schools event on Wednesday 17 April.